"Emojis are the language of today. Everyone uses them and understands them... that's what makes this routine so clever! Emoji is fun, interactive and easy to do! I can't wait to use it!" "Hot and lightbulb and arrow up (emoji)!" "Jesse is a rare, kind and brilliant soul in magic." 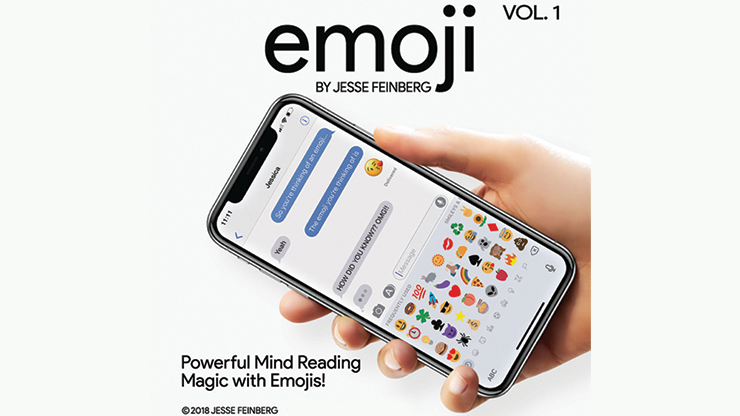 "Emoji is a modern take on a proven classic that people will love and connect with. No moves, no peeks, nothing to hide. Carry it everyday and read anyone's mind anytime." AND GET ANYONE'S PHONE NUMBER!